Trails Designed just for Mt. Biking! New! Interactive Map at Adk. AtlasEnjoy 20km of mountain bike specific trails all located in North Creek’s Ski Bowl Park. Parking is at The Ski Bowl (near the pavilion and baseball field), with additional parking behind the North Creek Town Hall on Main Street across from Tannery Pond Community Center. 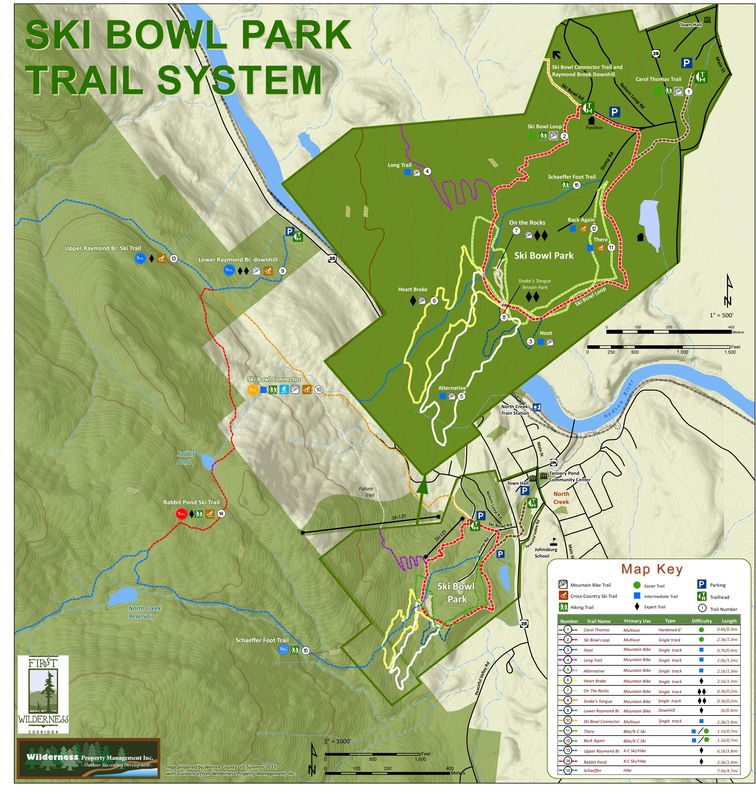 Use the trail map to the right or print out a hi-res pdf below.